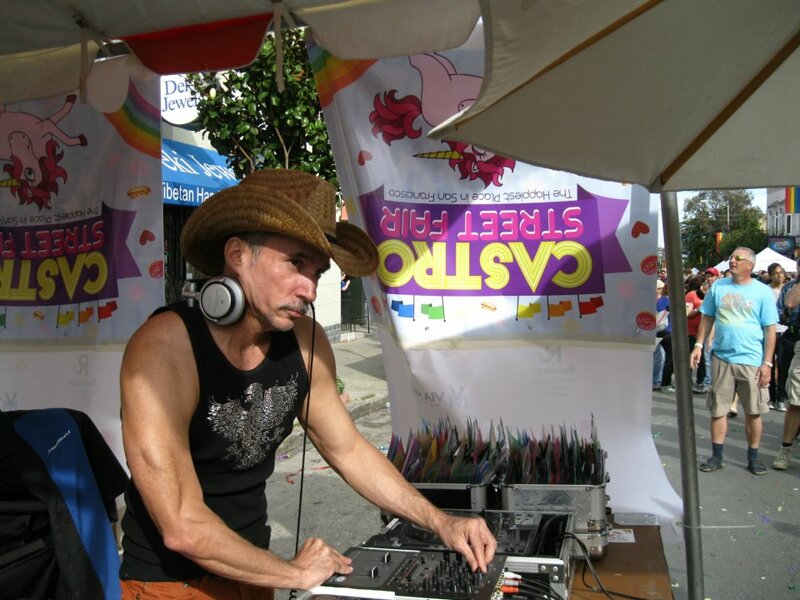 Update: 1/30/2015 – Eddie Bell aka Cookie Dough passed away on 1/29/2015 after a brief illness while getting ready to perform in Puerto Vallarta. Read more about it here. 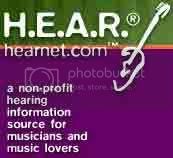 Please visit the GoFundMe website to help raise money for medical, transportation, and funeral expenses. You can see the amazing outpouring of love and comments on Cookie Dough’s facebook page. We will miss you! 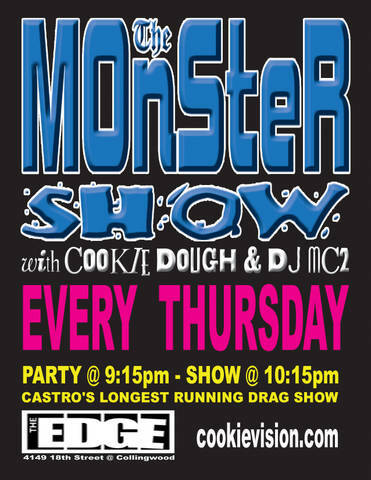 Cookie Dough and DJ MC2 are co-producers of the long running San Francisco drag production known as The Monster Show. The Monster Show started in the Summer of 2004 at Harvey’s in the heart of the Castro, and has become a non-stop mega-mixed drag queen mashup extravaganza, featuring some of San Francisco’s edgiest drag performers.